We are rolling out a new series called “Would You Rather…”. The new video debates will consist of The Cover 4 team debating hot topics and key issues in today’s sports headlines. They might be serious, funny, or even awkward, but our content will be refreshing to our views. Please let us know what you think and thanks for following along! Welcome! To the NBA Playoffs Betting Corner. Our Sunday started out with an easy win as the total in the Indiana-Atlanta game went over. The Lakers-Spurs game (+9) was really close. The Bucks kept it close in the first half but just had a total meltdown in the second half. In the last game of the night, we had the total over 213 and the final score totaled up to 211,If you watched the game, you’re just as frustrated as me. 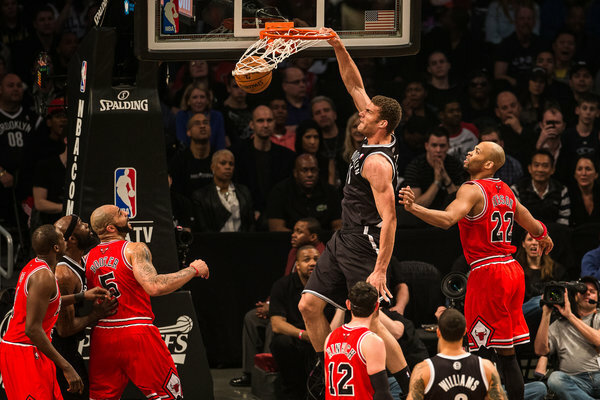 In the first game of the night, the Brooklyn Nets will continue to route the Chicago Bulls. I had the Bulls +5 because the Bulls are still a great defensive team and with Joakim Noah back, things were promising. Apparently not. The most productive center in the league, Brook Lopez, is playing great along with Deron Williams who’s been on a tear since the All-Star break. Noah came back but wasn’t a huge factor. The Chicago starters combined for just 50 points while the Brooklyn starters combined for 78. 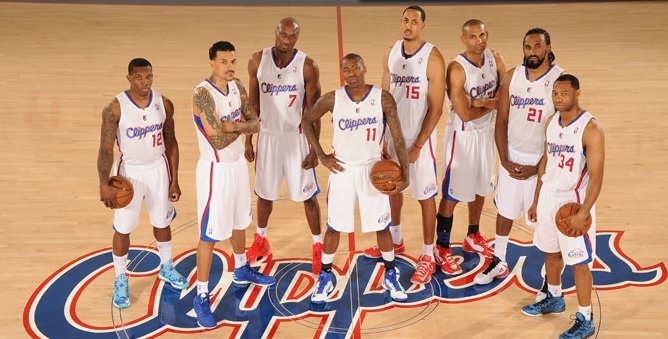 In primetime comes the highlight reel Los Angeles Clippers who will try to take a 2-0 lead in their series. The Clippers’ bench only scored nine more points than the Grizzlies bench but the difference in the game was rebounding, The Clippers out-rebounded the Grizzlies 47-23. There’s a saying in basketball, you control the board/paint, and you control the game. The Grizzlies just don’t have enough intensity to match up with the Clippers, especially in Los Angeles. On Tuesday we have the Miami Heat taking on the Milwaukee Bucks in what looks to be a four-game sweep for the King and his gang. Even though Brandon Jennings showed up and played a decent game in Game 1, the picture shows exactly what happened on Sunday. 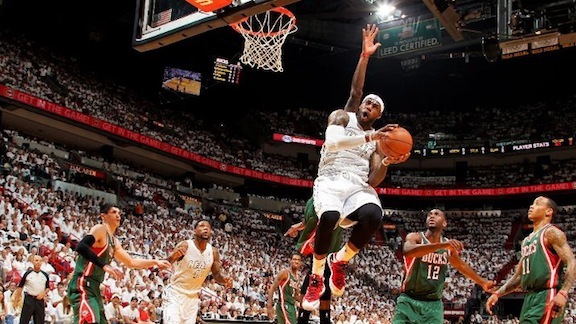 King James took matters into his own hands and flirted with a triple-double as the Heat erased any doubt in Jennings’ mind that the Bucks will win in six. In summary, the Bucks simply can’t handle the Heat. And with another blowout in mind, I don’t see any value in taking either the total points because it could go either way in a blowout situation. In more Tuesday action we have the still emotional Boston Celtics at New York taking on the Knicks and like I predicted in Game 1, the Celtics did put up a fight and could have easily covered the game, but were held to eight points in the fourth quarter. Boston also turned the ball over several times in the final two minutes. While emotions ran high during the first game, I feel like the Knicks showed the Celtics first hand why they are 31-10 at home this season. With New York’s stellar defense in the second half forcing turnovers, and with Boston lacking a true point guard, the Celtics had plenty of trouble taking care of the ball. 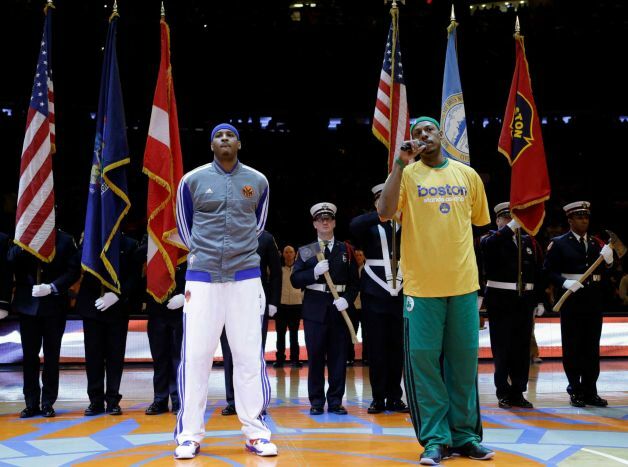 I predict that the Celtics will win outright in Game 3 at home for their home crowd, but for Game 2, take the Knicks. 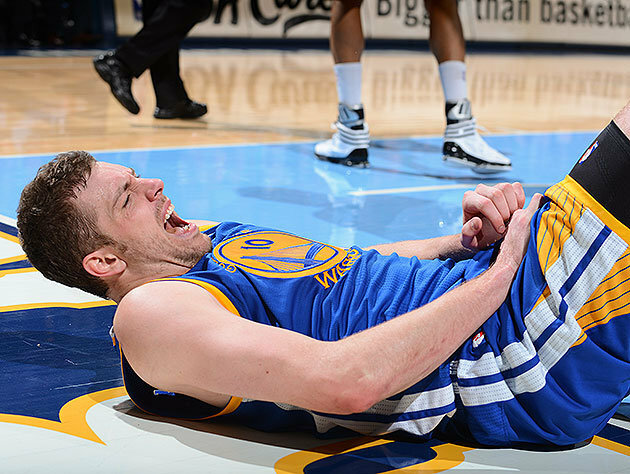 The nightcap on Tuesday features a GoldenState team that is missing David Lee for the remainder of the playoffs. I had predicted that the Warriors would put up a fight and make it a tough series with Lee and Andrew Bogut being paint problems for the Denver Nuggets but it’s not happening now.The Warriors lost their main low-post threat and about 20 points per game to go along with 10 rebounds per game. With that in mind, the Nuggets were lucky to come out with a win via a buzzer-beater by 37-year-old veteran Andre Miller, who came off the bench with 28 points. It doesn’t look like George Karl will have the need to play Kenneth Faried with Lee out of the picture, so were going to keep going with the under for Game 2. At 1p.m. EsT we have the sixth-seeded Atlanta Hawks featuring Josh Smith and Jeff Teague visiting the third-seeded Indiana Pacers with Paul George and David West. Indiana is trying to build on its great season despite missing star Danny Granger. 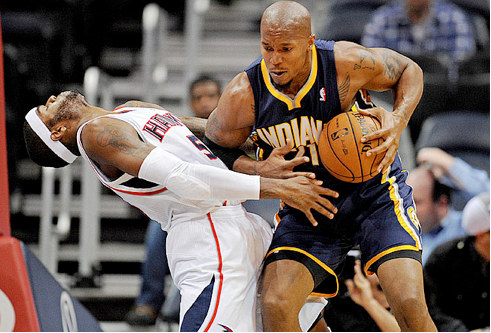 The Pacers are 30-11 at home while the Hawks are 19-22 on the road. At 3:30PM EST comes one of the most exciting matchups we have in the West. 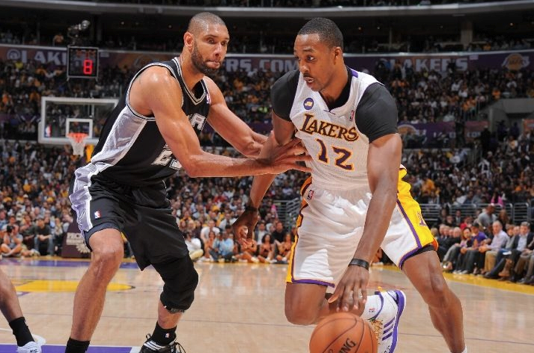 The seventh-seeded Mamba-less Los Angeles Lakers visit the playoff experienced second-seeded San Antonio Spurs. The Spurs are 35-6 at home while the Lakers are an ugly 16-25 away from Staples Center. With and without Kobe Bryant, the Lakers have managed to keep all three regular season meetings close. Both teams know each other very well and without a doubt the key players for this game will be Pau Gasol and Dwight Howard versus Tony Parker and Tim Duncan., Ever since the All-Star break and the passing of Lakers’ owner Jerry Buss, the Lakers have found a sense of urgency and have clawed themselves back into the playoff picture. The Spurs however have been well… the Spurs, despite several injuries throughout the season, with the managed playing times of his star players, Gregg Popovich has a full squad ready for another championship run. It will be a close game and even though the final score will not show, free-throw percentage will determine the outcome of the game as the Spurs shoot .791 while the Lakers shoot a disastrous .692 from the charity stripe. Interesting matchup coming in at 7 p.m. EST, the top-seeded defending champions Miami Heat host the eighth-seeded Milwaukee Bucks. The Heat are 37-4 at home and the Bucks are 17-24 away from home. First questions that comes into mind, how many eightseeds have upset the No. 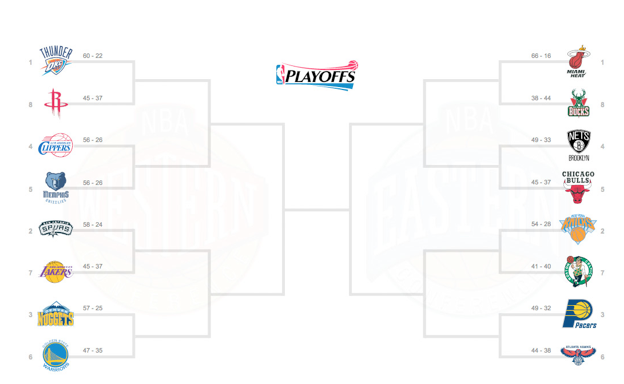 1 seed to move on to the second round? The answer is five. The Denver Nuggets defeated the Seattle Supersonics 3-2 in 1994. 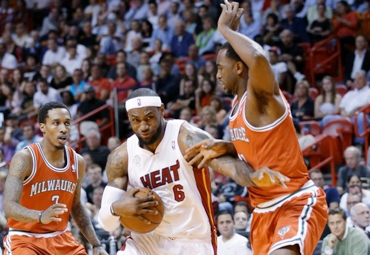 The New York Knicks defeated the Miami Heat in 1999, 3-2. The Golden State Warriors defeated the Dallas Mavericks in 2007, 4-2. The Memphis Grizzlies defeated the San Antonio Spurs in 2011, 4-2. Both teams will be healthy to start their playoff run, and as I’ve highlighted in red above, we have had upsets in the past twp years in a row where an eight seed knocked off a oneseed. Will Miami share the same fate or will it be the Thunder that will be a part of history? Opening games are always hard to predict even more so for this matchup, but 13 is just too much in a playoff game to be favorite by even when you’re the Heat. No hard feelings? 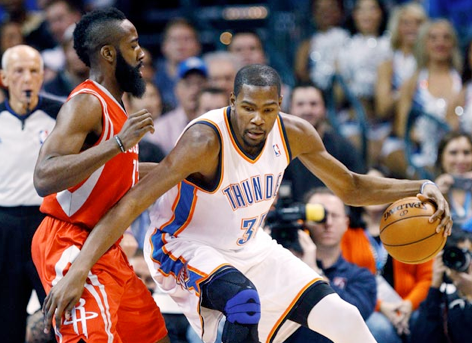 At 9:30PM EST we have another great matchup between the eighth-seeded Houston Rockets visiting the top-seeded Oklahoma City Thunder. The Thunder are 34-7 at home while the Rockets are 16-25 away from Toyota Center. If you’re looking for an up-tempo/transition type of game and you absolute HATE defense, look no further, we bring you Houston at Oklahoma City. Why no defense? The Houston Rockets are an atrocious 28th in the league at holding their opponents to 102.5 points per game while the Thunder sit 9th at 96.5 points per game allowed. Knowing that the Rockets can’t play defense, offense will be key to winning this game as the Rockets rank second in the league with 106 points per game and the Thunder just slightly behind at third with 105.7 points per game. Will The Thunder feel the effects of missing James Harden in the playoffs and be the sixth team to lose to an eighth seed? Or will Harden finally get his revenge on his former team? Key(s) to winning- First team to 100 wins.